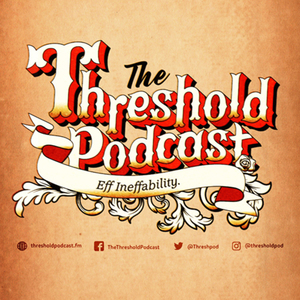 We found 4 episodes of The Threshold Podcast with the tag “art”. This week Tony sits down with Gene Monterastelli of aPEx and Pasco Media. Tony and Gene talk about art, New York City, wind, god, and what relationships look like. Tony and Father Colin sit down with Glass Darkly and Spirit Juice Film maker Sam Sorich to talk about what it's like to go from a family of thirteen, to van life, to film maker on the new 8Beats Project. Sam cusses. Just FYI. This week Tony sits down with Emily Britt. Mother of three and avid Game of Thrones fan, Emily identifies herself as a universalist Christian. Tony and Emily talk about her battle with MS, how her faith was challenged by a move to Iowa, and experiencing God in the Grease.